It’s part of a complete breakfast. One might argue that it’s a complete breakfast all by itself. Remember the graphic on cereal boxes (maybe it’s still there) depicting a complete breakfast as a bowl of cereal with milk, two slices of toast, a glass of (more) milk, a glass of orange juice, and maybe a banana? I don’t know about you, but if I’m planning a breakfast that large, it’s going to be pancakes or a big veggie omelet, not a bunch of processed, infinite shelf life cereal. Unlike my 8-year-old self, I no longer idealize that cereal box breakfast which so effectively marketed dairy and processed grain products to American children. An actual complete breakfast should be just the opposite, with as many fruits, veggies, and whole plant foods as possible. If you haven’t tried it, or that just sounds foreign to you, smoothies are probably a good place to experiment. Try them out for even a few days, and see if you notice the same benefits as me: staying full longer (oftentimes until lunch), needing less AM caffeine, and feeling generally more clear and energetic early in the day. Not to mention: It tastes like a pumpkin milkshake. It’s perfect for fall, but I tend to break it out all year when I can’t bear one more sip of my other heavily rotated tropical green monster. It’s super, um, smooth, not only in texture but in flavor. “Raw” rolled oats, banana, frosty pumpkin cubes, your favorite nut butter, a hint of maple syrup, and a sprinkle of cinnamon basically comprise a frozen version of my super luxurious pumpkin oats (which I recommend for those days when it’s just too dang cold for a smoothie). I made a couple servings when recording and photographing the recipe, and they were perfect breakfasts to start out my meatless month of December! I don’t usually struggle with eating healthy and meatless at breakfast, but I do struggle with deciding what I’m going to have and finding a quick option when I want to get going on some work or head out for a run, without turning the kitchen into a disaster zone for a one serving omelet. While I make Steve a green smoothie almost every day before work, I get bored with the same breakfast repeated too often, and this smoothie has been a nice break in the oatmeal action of late. I’m sure I’ll get bored of and return to it many more times as I cycle through more oatmeal, meatless scrambles, and “love muffins”, as we’ve come to refer to this favorite, versatile, gluten-free muffin recipe. I guess it’s flashback day on the blog. 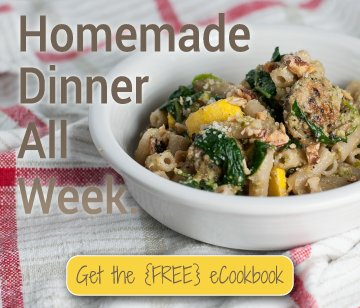 Good recipes, unlike my first blog design, are forever. I’m not sure if it’s a local thing, but I’ve noticed pumpkin is available at a reasonable price pretty much year round. 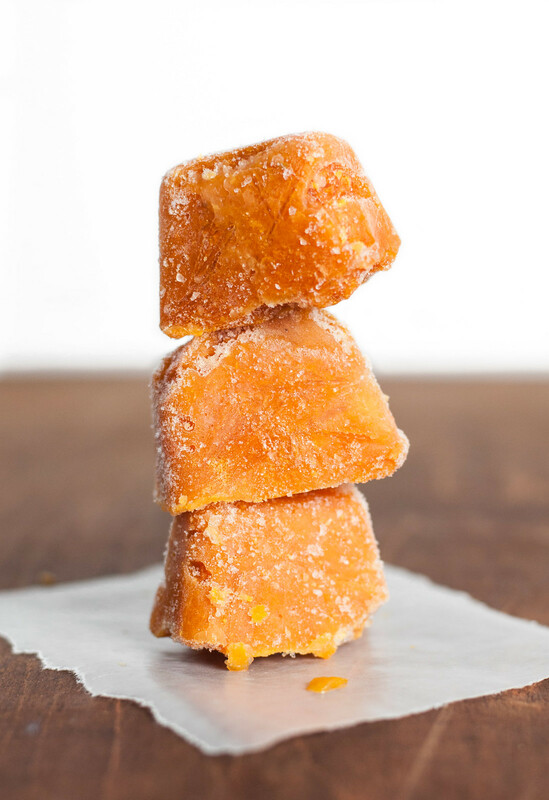 If it’s not near you, stock up during the holiday and get those pumpkin cubes into the freezer! 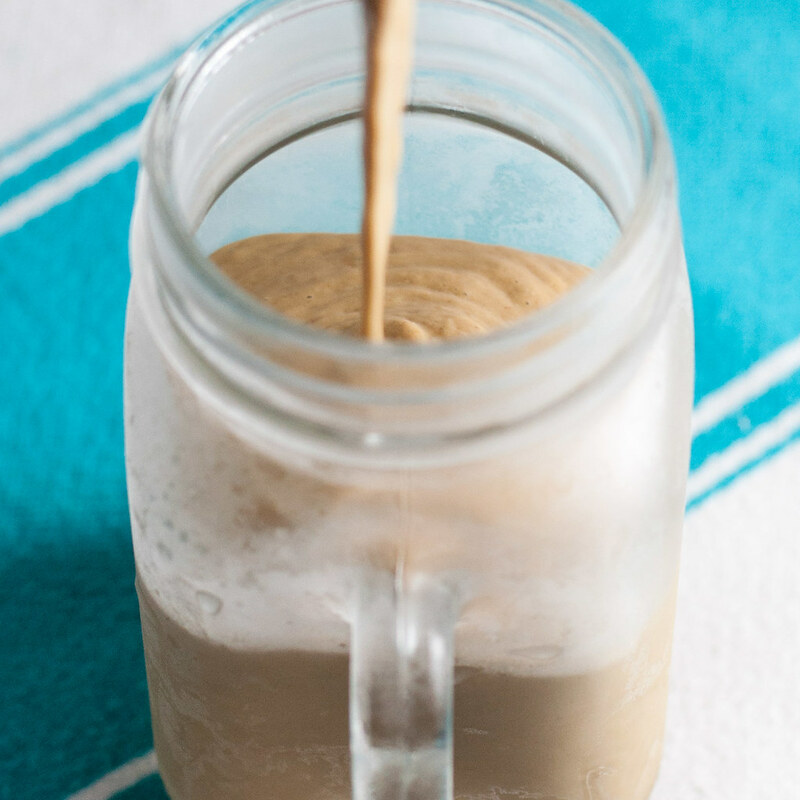 Don't limit yourself to just breakfast with this filling, healthy, milkshake-like smoothie. Try it pre- or post-workout, as a big snack, or even with a little whipped cream on top as dessert. In advance, chop and freeze bananas in a freezer bag and pumpkin in standard ice cube trays (2 T per cube). To make the smoothie, add ingredients to blender in order listed. Blend until smooth, gradually increasing blender speed. You'll need to stop and stir (or use the included stir stick with some high powered blenders) occasionally, because the frozen ingredients take a while to blend. The smoothie may take 3 to 5 minutes to come together. 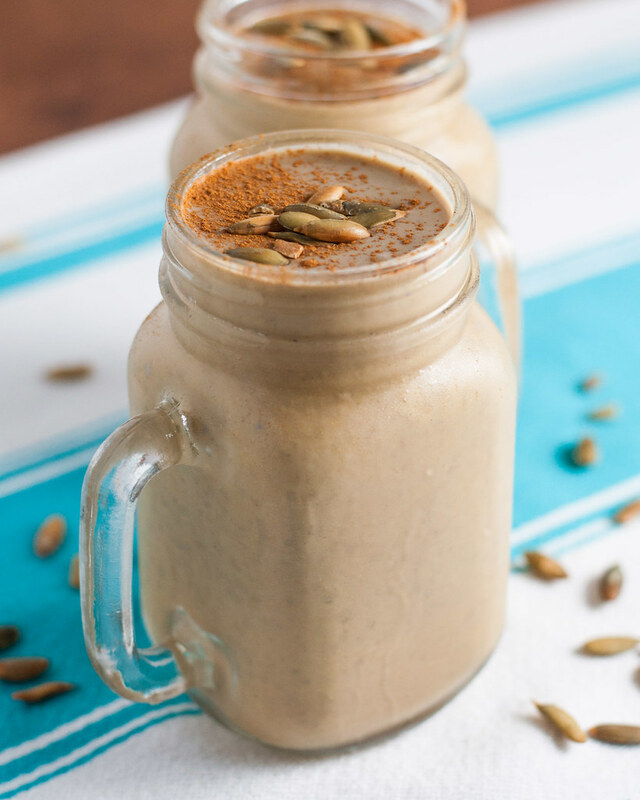 You can add more almond milk or use unfrozen pumpkin for easier blending, but the smoothie won't be as thick. 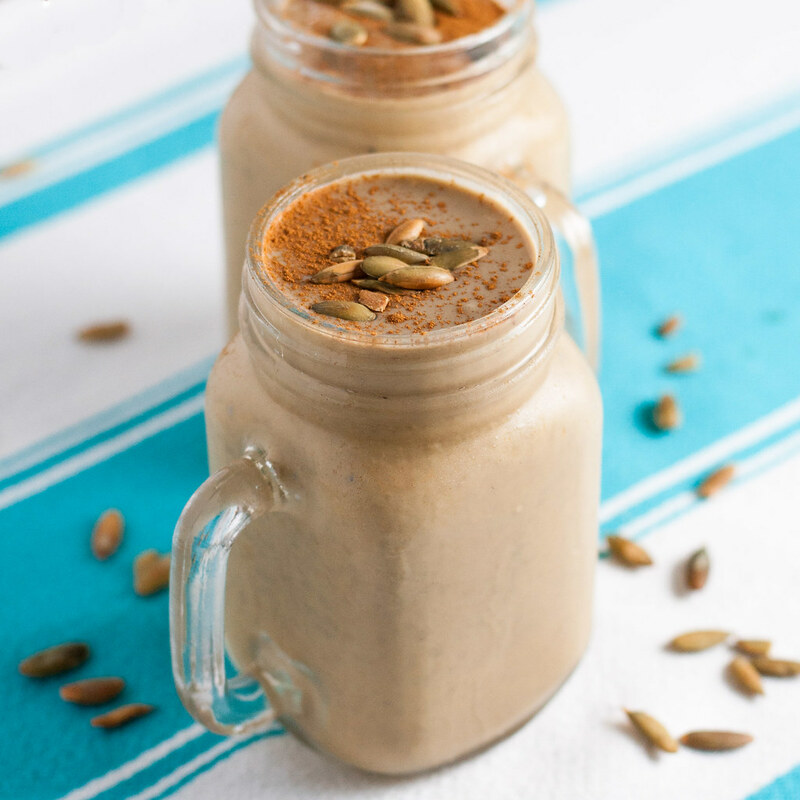 Toasted pumpkin seeds can be sharp, so I'd recommend eating them off the top of the smoothie before you get to the bottom, and omitting for children. I used canned pumpkin puree, but homemade would work just as well. 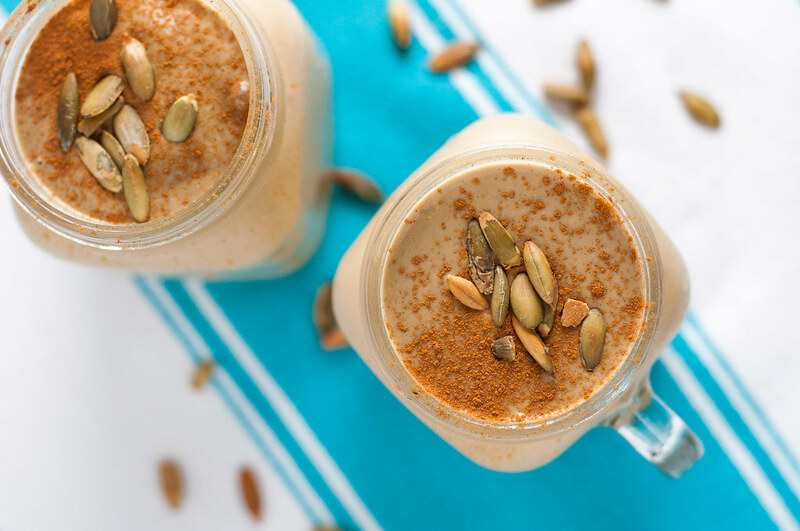 Such a perfect autumn smoothie, Tessa! I love the combination of ingredients. Is it possible to use coconut milk rather than almond milk?